The dictionary defines laser as a. device for the amplification of light. Clearly there is more to it since the acronym itself stands for light amplification by stimulated emission of radiation. Moreover there must be some source for the enhanced light energy coming out. In a chemical laser this energy is provided by a chemical reaction. Chemical lasers combine the physical mechanism of lasing with the versatility and scope of chemical kinetics and spectroscopy. They are the present-day analogues of the electrochemical cells and history again repeated. 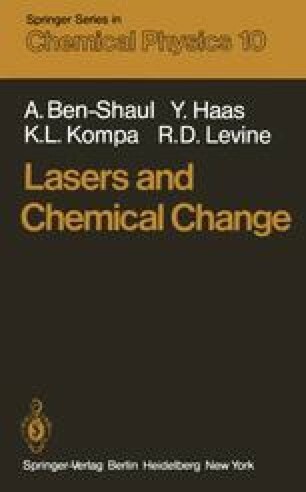 In addition to their many practical applications chemical lasers have also led to considerable progress in our understanding of the fundamentals of chemical reactions and of bulk systems in disequilibrium.